I would love to learn to crochet. Not just to make endless chains and boring squares made of single crochet stitches but to really crochet and make hats and cute little toys and accessories. Unfortunately, it hasn’t yet made the top of my “want to” list, so I haven’t done much more than a few hearts or shamrocks. My grandmother, on the other hand, regularly makes beautiful blankets for friends and family, so I asked for her help with these crocheted snowflakes from Red Heart Yarn. These look great as individual ornaments or tied along a longer string as a festive banner. 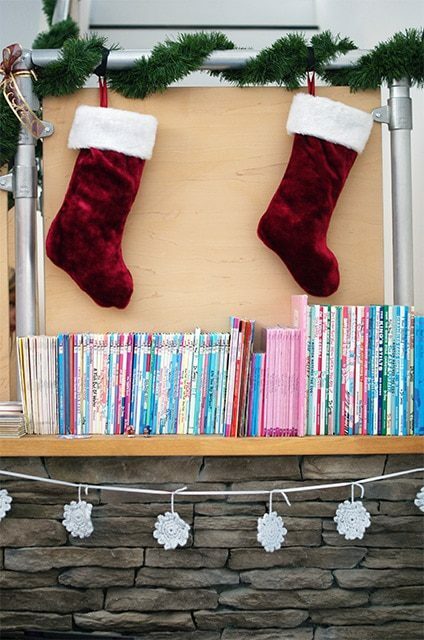 You could also hang them in windows or attach them to gifts! 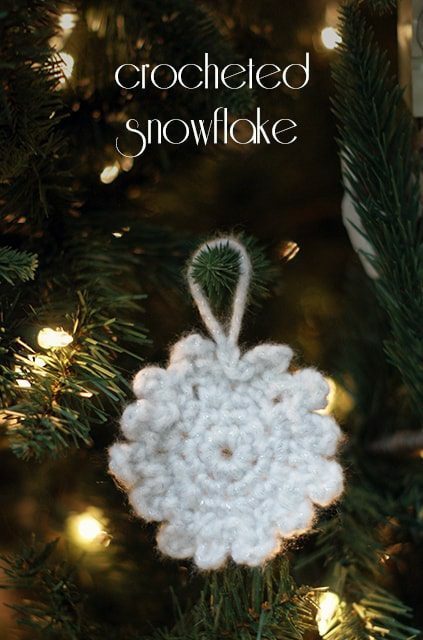 We used a sparkly white yarn and followed this tutorial from Red Heart Yarns. When starting the last row, crochet 1, +slip-stitch in the next 2 stitches, chain 4 and single crochet in next stitch. (This will make a loop of the chain 4). Repeat from + all around. End by slip-stitch at end of row. If you’re feeling really ambitious, you could even make several different style snowflakes since no two snowflakes are the exact same!